Olympia Sheet SetOlympia Sheet Set, alt="Olympia Sheet Set, "
Print Inspired by a pattern we found in a vintage print library, this features stitching that’s intricate yet versatile. 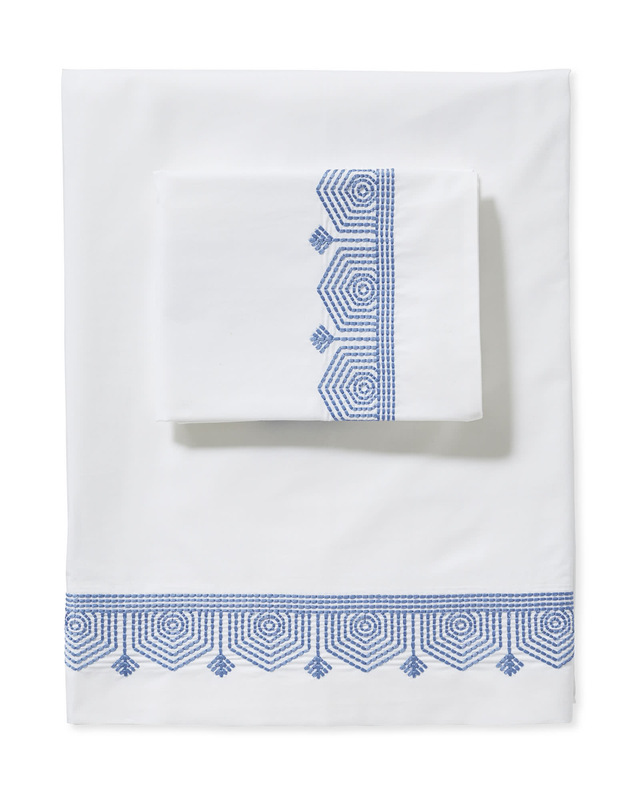 The embroidered threads are perfectly weighted for the crisper base, a cool and light cotton percale that keeps everything feeling fresh. Made in Portugal, this reflects the craft and creativity of its famed textile artisans. 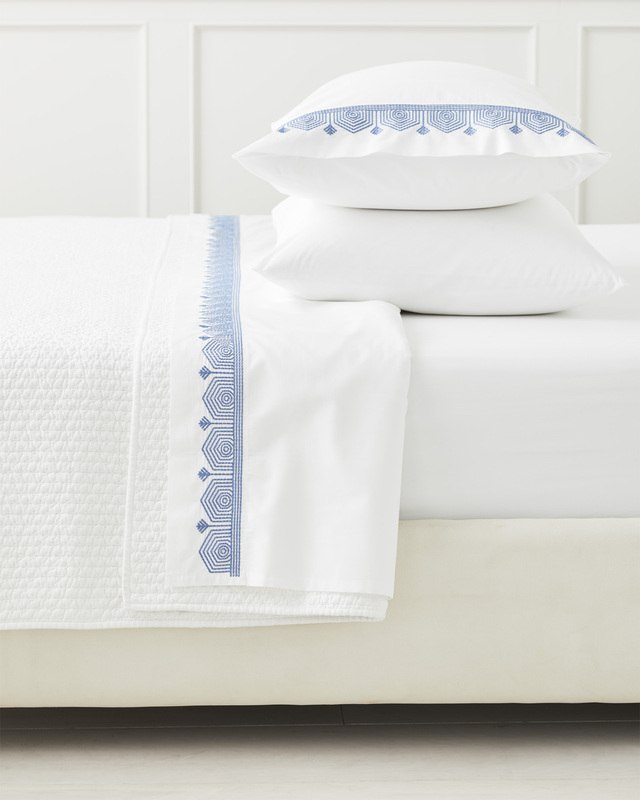 Queen sets include flat and fitted sheets (for a 16"D mattress), plus two Standard pillowcases.